AFRICAN - Means that the church was organized by people of African descent and heritage. It does not mean that the church was founded in Africa or that it is for people of African descent only. It does mean that those Americans who founded it were of African descent and we proudly recognize this fact. We welcome all who worship Jesus Christ as Lord and Savior. METHODIST - Refers to the church's membership in the family of Methodist churches. Richard Allen, the founder and first bishop, felt that the form and format of Methodism would best suit the needs of the African community at that time. EPISCOPAL - Refers to the form of government under which the church operates. The Episcopal form of government means that the chief executive and administrative officers of our denomination are our bishops. Their authority is given them by the General Conference, elected representatives of the entire denomination. Their responsibilities are to oversee the spiritual and temporal affairs of the church. In 1787, Reverend Richard Allen and Reverend Absalom Jones withdrew from St. George Methodist Church because of "unkind treatment" and restrictions placed on worshippers of African descent. They founded The Free African Methodist Society, which was the beginning of the African Methodist Episcopal Church. In 1816, Richard Allen called together sixteen representatives from Bethel African Church in Philadelphia, and African Churches in Baltimore, Maryland; Wilmington, Delaware; Attleboro, Pennsylvania. A church organization or "connection" was organized as the African Methodist Episcopal Church. Richard Allen was the founder and first Bishop of the African Methodist Episcopal Church. "I believe in God, the Father the Almighty, Creator of Heaven and Earth. I believe in Jesus Christ, His only Son, our Lord. He was conceived by the Power of the Holy Ghost and born of the Virgin Mary. He suffered under Pontius Pilate, was crucified, died and was buried. He descended to the dead. On the third day he rose again. He ascended into heaven, and is seated at the right hand of the Father. He will come again to judge the living and the dead. I believe in the Holy Ghost, the Church Universal, the Communion of Saints, the Forgiveness of Sins, the Resurrection of the Body, and the Life Everlasting. Amen." 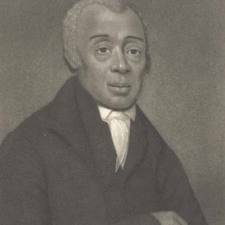 Richard Allen, the founder and first Bishop of the African Methodist Episcopal Church, was born a slave on February 14, 1760 on the Benjamin Chew estate. Deeply religious from an early, age, Allen was converted at the age of 17. He began preaching in 1780 and was ordained in 1799. Through thrift and industry, he and his brother worked at night to pay for their freedom. From July 1805, Allen conducted services in the "Roughcast Church." This had been the first brick church erected on American soil by people of color. 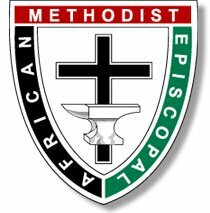 The African Methodist Episcopal denomination was organized in Philadelphia in 1816. Richard Allen was consecrated as its first Bishop at the General Conference in Philadelphia, Pennsylvania, April 10, 1816. In 1841 the red brick church was built to replace the old roughcast one, and remained in use until the present church (dedicated in 1890) was erected in its place on the original plot of ground. From 1797 to his death on March 26, 1831, Allen operated a station on the Underground Railway for escaping slaves. This work was continued by Bethel Church until the Emancipation. Bishop Allen was married to Sarah Bass Allen. He was the father of six children- Richard Jr., James, John, Peter, Sarah and Ann. MEMBERSHIP IN THE CHURCH There are three categories of membership, Full, Probationary and Preparatory. THE MINISTRY There are two orders of ministry; Deacon and Elder. GENERAL ORGANIZATION The Bishop is the Chief officer of the Connectional Organization. He/she is elected for life by a majority vote of the General Conference which meets every four years. Presiding Elders are the assistants whom the Bishops appoint to supervise the preachers in a Presiding Elder's District. They hold Quarterly and District Conferences and at the end of the year, report to the Bishop at the Annual Conference and make recommendations for pastoral appointments. Pastors are appointed yearly to a charge (church), on recommendation of the Presiding Elder, by the Bishop. He/she is in full charge of the Church and is an ex-official member-of all boards, organizations and clubs. THE CONNECTION It is thought by many that the "Connection' is one of the main things that hold the A.M.E. Church together. Each member is a part of the "Whole" because each local church is a part of the "Connection" beginning with the General Conference down to the Church Conference which is called at the request of the local pastor and to which each member is privileged to attend. THE DISCIPLINE There is a book published every four years by the A.M.E. Church called the "Doctrine and Discipline of the African Methodist Episcopal Church" or "The Discipline." The first edition was issued in 1817 by . Bishop Richard Allen and Elder James Tapisco and others of Philadelphia, and is one of the oldest books published by American Blacks.